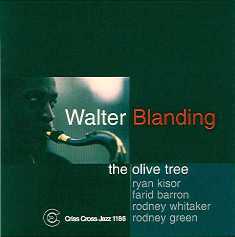 Young tough tenor Walter Blanding makes his Criss Cross Jazz debut with a splendid quintet presentation of standards, jazz pieces by Waller, Monk, and Wayne Shorter, and a generous helping of his original compositions. Joining him are his colleages from Wynton Marsalis' Lincoln Center Jazz Orchestra , pianist Farid Barron, and Criss Cross recording artists bassist Rodney Whitaker and trumpeter Ryan Kisor. On drums the great Philadelphian drummer Rodney Green.